Like many other novelists of his era, Joseph Conrad began by publishing his work in serialized magazines. 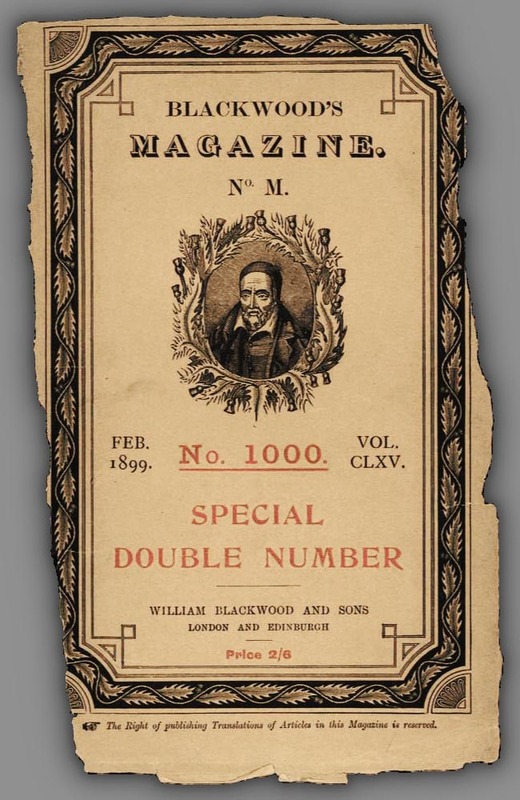 Novel serialization, which had first gained popularity and commercial appeal with Charles Dickens’ Pickwick Papers in 1836, was commonplace throughout the 19th century. By the time that Conrad released his first novel in 1895, entitled Almayer’s Folly, publishing serious work within the pages of weekly literary periodicals had become de rigueur. Indeed, Scribner’s Monthly magazine noted that it is the “second and third rate novelist who could not get published in a magazine and is obliged to publish in a volume, and it is in a magazine that the best novelists always appear first.” Although Scribner's claim doubtless contains an element of self-promotion, one cannot deny that it is precisely through serialized publication that Conrad joined the ranks of literary greats such as Alexandre Dumas, Henry James, Gustave Flaubert, and Leo Tolstoy. Through the website Conrad First: The Joseph Conrad Periodical Archive, contemporary readers can enjoy the original, digitized versions of Conrad’s first editions. The database, which holds some 80,000 images and links to over a hundred periodicals, includes the original releases for Conrad’s many novels, including Heart of Darkness (1899, Blackwood's Magazine), Lord Jim (1899, Blackwood's Magazine), Nostromo (1904, T.P. 's Weekly), and The Secret Agent (1906, Ridgway's Magazine), as well as essays, such as Rudyard Kipling: A Criticism on His Poems and A propos of Alphonse Daudet. For those more interested in household goods of yore than Conrad's prose, these pages will also prove enjoyable; ads for the Harlene Remedy for Baldness and requests imploring readers to Employ British Labour abound.